‘Creative Cities Collection Fine Arts Exhibition London 2012’ , i.e. ‘Olympic Fine Arts 2012 (London)’ (hereinafter referred to as ‘Exhibition’) is scheduled to be held on August 1-7, 2012 in London, which will exhibit the paintings of 500 famous artists from home and abroad. The ‘Exhibition’ has been authorized to use the logo of ‘Inspire’ by London Organizing Committee for Olympic Games (LOCOG), marking that this activity has officially been included into the projects of cultural activities for the London Olympics. The ‘Creative Cities Collection Fine Arts Exhibition London 2012’, i.e. ‘Olympic Fine Arts 2012 (London) Invited Exhibition in Beijing’, as an important part of the activities and a promotional activity before the Exhibition, it is aimed at promoting the Olympic spirit, propagating the Olympic culture and creating a good atmosphere for this activity. All of the over 130 Chinese paintings, oil paintings and mixed media paintings exhibited at the Invited Exhibition in Beijing come from well-known and talented painters. These works give full expression to the unremitting exploration of art by painters expressing their love for the world and admiration for the Olympic culture. The Chinese market for art, both antique and contemporary, is among the fastest-growing in the world, attracting not just domestic but international buyers, and considerable sales at the largest fine-art auction houses. 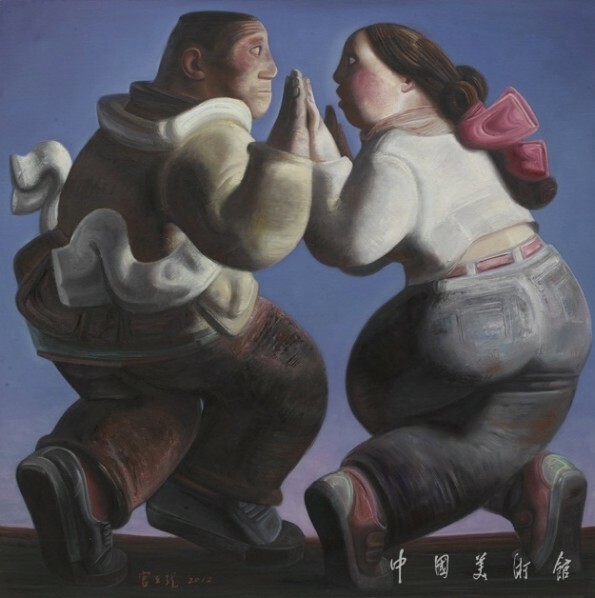 Alongside this, there has been an increasing appreciation of the range and complexities of China’s evolving visual arts sector, which is establishing a body of work distinctive from that of the West while also increasingly engaging and drawing upon developments in the US and Europe.